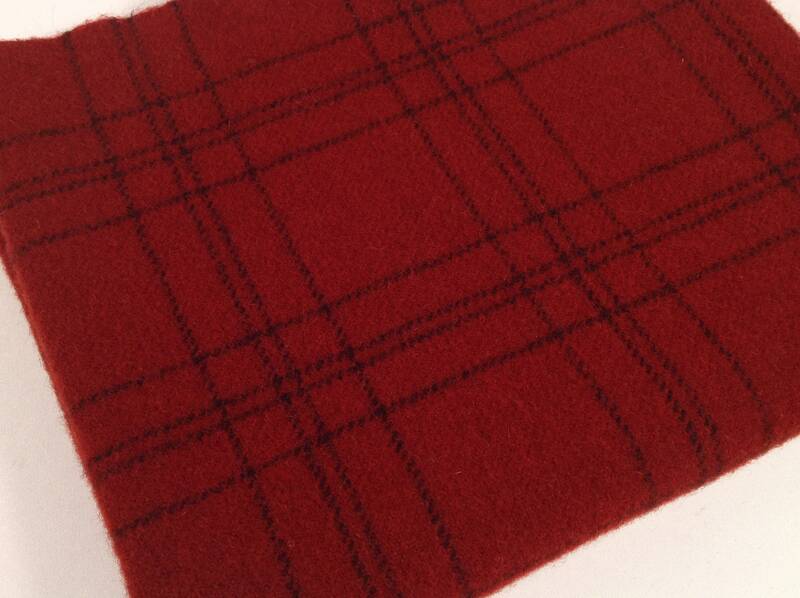 Red Velvet is a 100% mill dyed wool fabric. The fat quarter is approximately 16" x 28". This red is deep and saturated, a lovely ruby red, Christmas red, true red. The large plaid lines of soft black gives just the right amount of interest when hooking or appliqueing. 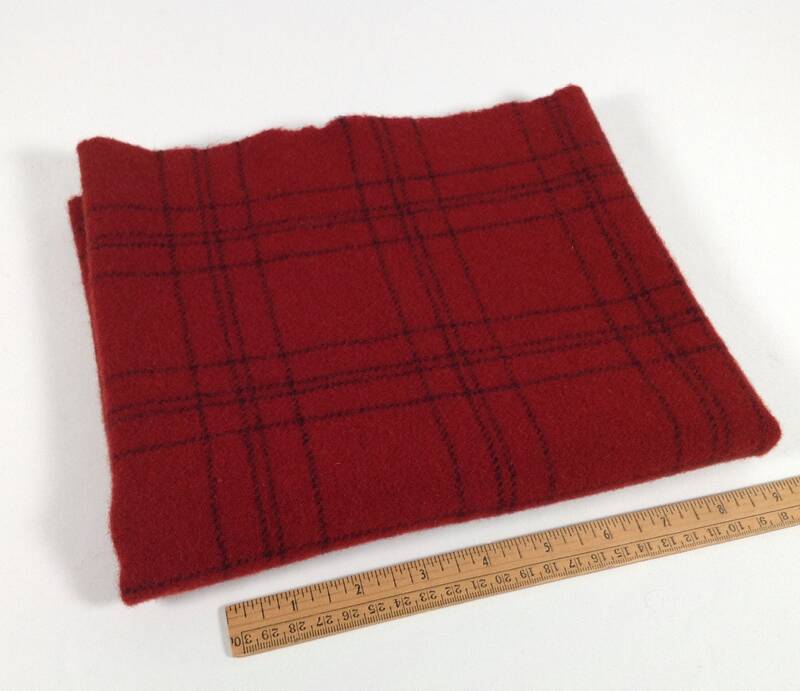 Add this lovely red to your stash to have it ready for your next project. Fabulous for flowers and berries. A perfect red for your patriotic projects. Use for barns, houses, Santa's coat or snowman mittens. 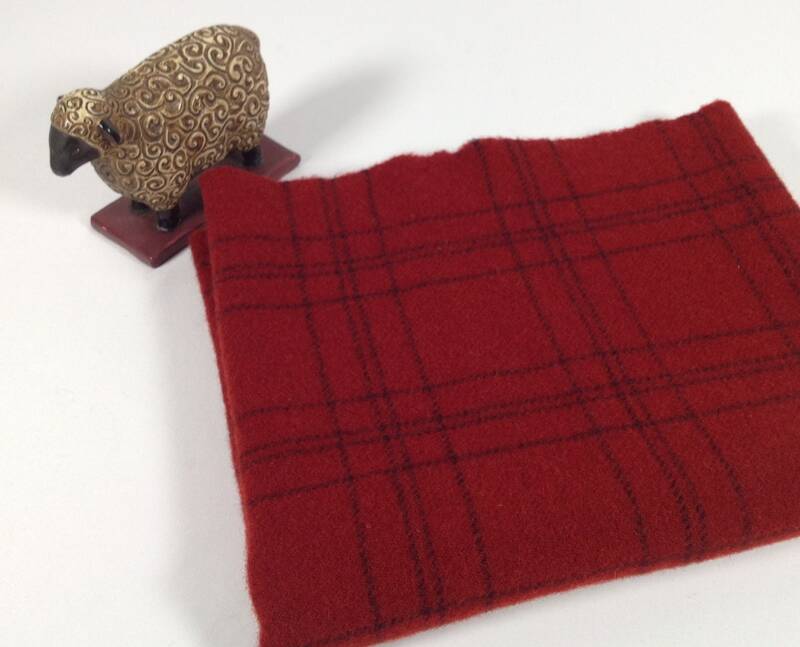 If you are making wool quilts, this is a red you would want to include. Pincushions, bags, doll clothes, table runners, vests...so many ideas. Please email if you would like to put together a special order of favorite fabrics or if you have any questions. This seller has always been a great resource for my wool needs. Top quality wool. This fabric really isn't red and won't work for the Christmas projects I had anticipated using it for. But it is lovely fabric and I will dedfnitely use it in other wool applique projects I have planned. And this Etsy vendor is very nice and replies promptly to questions and I will definitely order from her again. 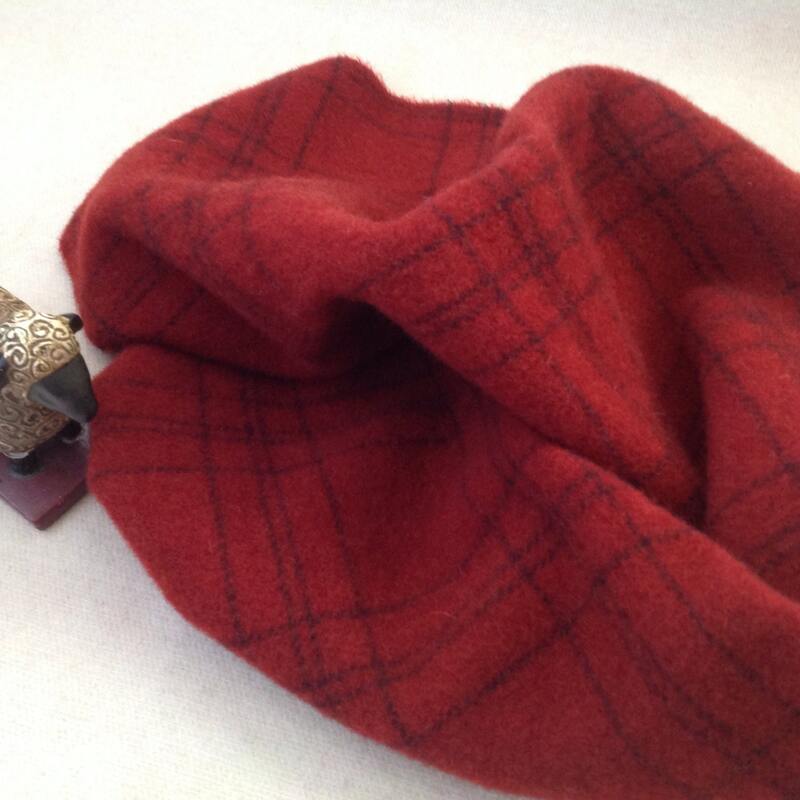 rich colors and softness makes this wool just perfect for any project. Fast shipping means you will get to begin your project soon, I have added this seller in my favorites.